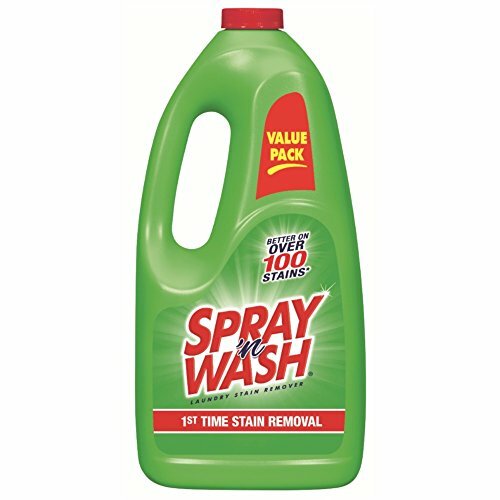 Spray 'n Wash Pre-Treat Laundry Stain Remover provides 1st time stain removal! Better on everyday stains vs detergent alone. This stain remover may be used with other laundry additives & works in all temperatures. It is also safe for colorfast washables (excluding washable silk, khaki & fluorescent clothing). If possible, treat & launder while stain is still fresh. Do not let dry on garments or surfaces. With the power of Spray 'n Wash you can fight everyday stains! Laundry stain remover provides 1st time stain removal. Better on everyday stains vs detergent alone. Safe for colorfast washables (excluding washable silk, khaki & fluorescent clothing). If possible, treat & launder while stain is still fresh.